As a small business owner, there’s a high probability that you’ll often be working in your own shop and because of this you should be aware of your retailer rights when it comes to shoplifting. It is estimated that shoplifting is currently costing retailers millions of pounds and as thieves become more adept and sophisticated in their ‘art’, shopkeepers must know their rights when it comes to dealing with a shoplifter. It can be almost impossible to prevent shoplifting, but there are a variety of measures you can use to try to halt it before it becomes a problem. Incorporating as many visible deterrents as possible in your shop, such as CCTV, mirrors, security guards should help to put off amateur thieves or opportunists. Having a sign on your door that states ‘Shoplifters will be prosecuted’ will also work as a deterrent for most, but when it comes to professional thieves, they’ll normally ignore such warnings and proceed anyway. It’s very important that you train your staff to be vigilant and observant as they may be the ones who have to apprehend a suspected shoplifter on your premises. Also get them to act on their suspicions, whether that is by reporting it to you or a supervisor, or calling the police. You could also set up some kind of inter-staff warning system, where a handy bell or buzzer informs others in the store that there is a security breach. If you have time and your local police station are willing, make an appointment with one of the officers to come in and speak to staff about what they can do if they suspect a shoplifter. The officer will often outline how shoplifters operate and this is essential knowledge as a small business owner. Generally shoplifters will operate in groups, with one causing a diversion as the other carries out the theft. One of the most important areas surrounding shoplifting and your rights as a retailer, are knowing exactly how to establish probable cause with a suspected shoplifter. This is crucial to your case and should help you decide how to proceed if you think you have a shoplifter in your collectibles shop. There are some essential points set out below that will help you avoid legal problems with shoplifters. These are often referred to as SCONE. As the owner of a small collectibles business, it’s your duty to know your legal rights when it comes to shoplifting. 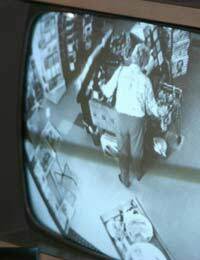 Most shoplifters will be fully aware of their rights as consumers and can use this to their own advantage. For example, if you as a retailer lays a hand on a shoplifter in order to apprehend him, you may find yourself being charged with assault. He will often rely on one of his accomplices as a witness and you can find that you’re the one who ends up in court, as infuriating as that may be. There are laws in place that allow retailers to apprehend a suspect, but they have to be adhered to very strictly. You must be able to be 100% certain on all of the above points before you decide to apprehend a shoplifter. You should follow the set of principles below to keep yourself on the right side of not only retailer rights, but also consumer rights. Always approach the suspect outside of the shop and if possible, do so with another staff member. Identify yourself as a staff member and politely inform them that you know they have stolen and you’d like them to return to the shop with you. Do not use force to detain a suspect, it isn’t worth it as you may be the one who will end up in court. Don’t hold the suspect in handcuffs or make them stay in a confined area. As a small business owner, theft can make a huge impact in your overall takings, so ensuring that you have a strong insurance policy in place will help prevent this. Many insurance companies now offer shopkeeper insurance that will protect you against theft, burglary, accidents, robbery and more. There are many available online and you can simply search out the type of policy and cover you want. It is extremely advisable to take out some kind of insurance to protect yourself against shoplifters and as always, speak to local police officers for further advice on what to do should you have a shoplifter in your premises.